SINGAPORE — Japanese trading house Mitsui & Co. looks to tap into Southeast Asia’s booming retail market using information and communications technology, President and CEO Tatsuo Yasunaga told the Nikkei Asian Review in a recent interview here. Yasunaga wants to explore new tools for information and communications technology, or ICT, in Southeast Asia. Unlike Japan, where the retail market is already saturated, Southeast Asia’s rising internet penetration and expanding consumer market make countries such as Indonesia “ideal test beds for merging ICT with retail,” he noted. 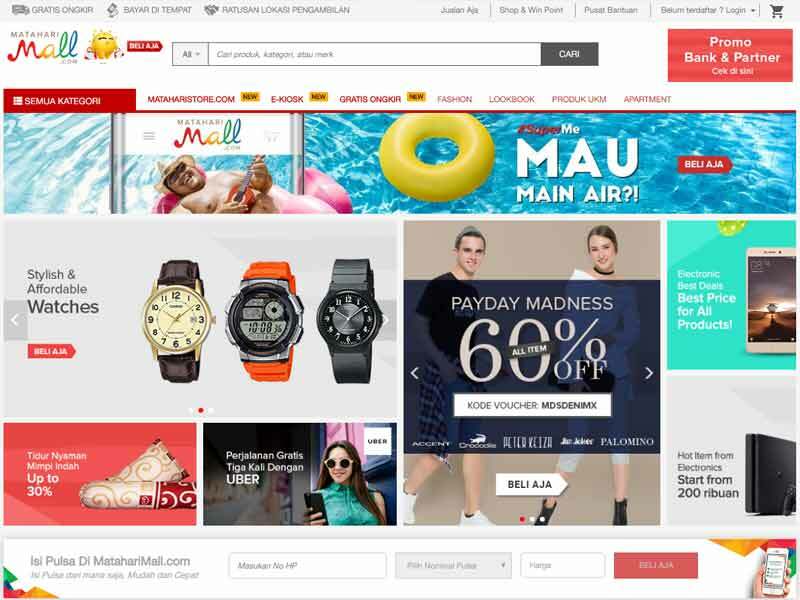 Mitsui recently invested in Lippo’s e-commerce website MatahariMall. Yasunaga also hinted at deepening Mitsui’s partnership with Indonesian conglomerate Lippo Group. Mitsui holds a stake in the Lippo unit that runs Indonesian e-commerce site MatahariMall. The two groups have joined hands for data center and fourth-generation mobile network businesses as well. Lippo has teamed separately with Southeast Asian ride-hailing app provider Grab to develop mobile payments, which the conglomerate intends to roll out at its retail outlets in the future. “The fast pace of technological advancements in Southeast Asia means these new tools for shopping could quickly gain ground among consumers — perhaps much faster than in Japan,” Yasunaga said. Combining popular retail concepts with ICT such as mobile loyalty points for shopping can be a strong tool to make Southeast Asian customers “stick,” the CEO said. “We are talking to other [corporations in the region] for potential collaboration in retail, too,” he added. The Japanese trading house has been investing in other industries in Southeast Asia. “We see a growing opportunity in the health care industry as the region’s aged population expands and demand for higher-quality health care rises,” Yasunaga said. Mitsui holds a stake in Malaysia’s IHH Healthcare, which runs hospitals in Singapore, Malaysia and other countries, including this one near Singapore’s commercial district. Mitsui has invested in a range of health care companies that operate in Asia, including Malaysian hospital operator IHH Healthcare and medical information provider MIMS Group. Yasunaga said he aims to forge “a cluster of health care companies to create an ecosystem” in Asia. Yasunaga remains optimistic about Asia’s economic outlook, particularly for countries such as Indonesia and India with large domestic markets and young populations. These economies are better positioned to guard against external factors, such as volatility in commodities prices and uncertainties in global trade stemming from the new Trump administration in the U.S., Yasunaga said.